Both oxygen and antioxidants are crucial in winemaking and a good enologist has to find the optimum equilibrium to produce quality wines. 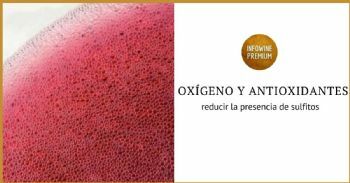 In the winery oxygen can be easily managed, but it is tricky to control it during the commercial life of the wine. Even minimum amounts of oxygen in the headspace on the post-bottling development of wine can either irreversibly damage or improve the quality of wine. A modern metabolomics experiment conducted on 216 bottles of 12 different white wines produced new knowledge concerning wine chemistry, especially highlighting the reactions between SO2 and various wine metabolites. In this video seminar Arapitsas describes the role of different metabolites in these sulfonation reactions and shows how a better knowledge of such mechanisms can help winemakers to make a smarter use of SO2 in wine and reduce sulfites in wine.